Didier Demesmin, M.D. is an Interventional Pain Medicine Specialist who is double Board Certified in Anesthesiology and Pain Medicine. He is the founder of University Pain Medicine Center. He graduated from Robert Wood Johnson Medical School, where he received the prestigious award for Academic Excellence in Anesthesiology. He completed an Interventional Pain Medicine Fellowship Program at Columbia University, College of Physicians and Surgeons/ St. Luke’s-Roosevelt Medical Center in New York. Dr. Demesmin is affiliated with some of the finest hospitals in Central New Jersey, including Saint Peter’s University Hospital, Robert Wood Johnson University Hospital, JFK Medical Center, and Somerset Medical Center. Dr. Demesmin is the director of Pain Medicine at St. Peter’s University Hospital. He is a member of the Committee for the Protection of Human Subjects in Research Institutional Review Board, where his responsibilities involve protecting the rights and welfare of patients involved in clinical research. Dr. Demesmin is also a member of St. Peter’s University Cancer Committee and aspires to develop a Palliative Care Program at St. Peter’s University Hospital. Dr. Demesmin has lectured at regional, national, and international Pain Medicine venues. Recently, he traveled to Brazil where he lectured and performed a live minimally invasive discectomy as part of a seminar. He has also lectured at the Italian Minimally Invasive Spine Conference in Rome, Italy. Dr. Demesmin conducted a Poster Presentation on Minimally Invasive Disc Decompression at the International Intradiscal Therapy Society in Toulouse, France, and lectured for the American Pain Society on Minimally Invasive Disc Decompression in San Antonio, Texas. He has provided a number of presentations and Grand Rounds to physicians, and has been an instructor of numerous courses for Interventional Pain procedures and techniques. In addition, he has been a preceptor to college students, medical students, residents, and Pain Medicine Fellows. Dr. Demesmin treats a wide spectrum of pain syndromes such as neck pain, lower back pain, sciatica, herniated disc (neck or back), failed back surgery, diabetic neuropathy, cancer pain, headache, Reflex Sympathetic Dystrophy, arthritis, osteoporosis, any types of joint pain, and others. Dr. Demesmin specializes in minimally invasive procedures, including but not limited to, percutaneous disc decompression, discography, epidural steroid injections, vertebroplasty, microendoscopic discectomy, intrathecal pumps, spinal cord stimulator, and various nerve blocks. 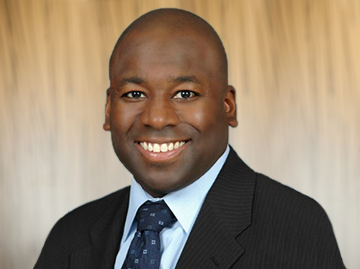 Through a unique combination of his strive for excellence, coupled with a compassionate bedside manner, Dr. Demesmin can help you eliminate or manage your pain.